A person nominated as an executor in a will has the right to be appointed by the court as the executor unless she declines to serve in that role or is otherwise disqualified by law. A person is disqualified from serving as executor in California if she is under the age of eighteen or is mentally incapable of serving, or if the named person has a conflict of interest with the deceased person’s estate, such as if the person was suing the estate. The nominee must notify the court of the nomination in the paperwork that starts the court process -- a petition to open probate, which is filed in the Superior Court in the county where the deceased lived. A person nominated in a will to serve as the executor is not required to do so and may decline the appointment. In the event that the nominated person declines to serve, the other nominees in the will may serve as the executor in the order of their nomination. If the will failed to nominate alternate executors, or if no alternate executors are willing and able to serve, the court will appoint an administrator. Any “interested person” may challenge a nominee’s right to serve as the executor. An “interested person” includes the deceased person’s heirs, beneficiaries and creditors. An interested person can challenge the nomination on the grounds that the nominee is disqualified from serving or on the grounds that the nominee is not mentally competent to serve. Although not required, an objecting interested person may propose an alternate nominee. An objection is made by filing a petition in the same Superior Court. 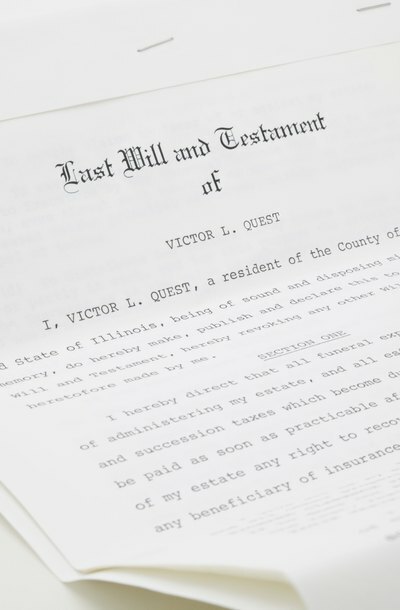 If a person dies without a will, the person is said to have died “intestate.” Whereas an executor represents a deceased person’s estate if the person left a will, an “administrator” handles the estate if the person did not leave a will. California law provides a number of grounds under which a person is disqualified from serving as the administrator. A person under the age of 18 may not serve as the administrator, nor can a person who resides outside of the United States. A business partner of the deceased person may serve as the administrator, unless an “interested person” objects to the appointment. An administrator must request appointment through a petition filed in the Superior Court. Once the administrator is appointed, the assets of the deceased person are collected and the estate’s debts are determined. The debts are paid off and, if there is any property left, the court distributes the property to the deceased person’s heirs in the order required by California law.